also available as an audiobook from Macmillan -- if you'd like to hear an excerpt, just click the blue Streampad bar below. "I said it before, and I know I'll have to say it again: women are nothing but trouble." 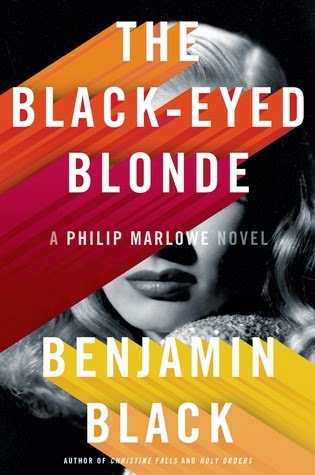 Benjamin Black, aka John Banville, is the author of the excellent series of crime novels set in 1950s Dublin -- in The Black-Eyed Blonde, he stays in the 1950s but moves to Raymond Chandler's mean streets of Los Angeles. He also brings back PI Philip Marlowe for another knightly adventure. After just last week or so having finished and fallen in love with all seven of the original Marlowe novels, I was frankly skeptical that anyone could pull off a new Marlowe story, but as it turns out, I didn't have to worry. One Tuesday afternoon, Marlowe is in his office at Hollywood and Cahuenga when in walks Mrs. Clare Cavendish, the "black-eyed blonde" of the title, and heiress to the Langrishe perfume fortune. Marlowe notes the eyes right away: "A blonde with black eyes -- that's not a combination you get very often." As she lights her Sobranie Black Russian ("what else?") in its ebony holder, she gets down to business. It seems that two months earlier, her ex-lover Nico Peterson disappeared and now she wants him found. She hasn't gone to the cops since Nico was "rather shy of the police," leaving Marlowe to ask her if he had things to hide. Her answer "Haven't we all, Mr. Marlowe," turns out to be a major understatement -- as Marlowe soon realizes, there's definitely much more going on than the blonde with the black eyes is willing to tell. It also isn't long until he's in it up to his neck, from a dead man who's now walking the streets of San Francisco and couple of psychopathic hit men from south of the border to the uber wealthy who hide their secrets in their grand mansions and gated clubs. And all the while he wonders if maybe it isn't some kind of set up. Overall, I totally enjoyed losing myself in this novel. 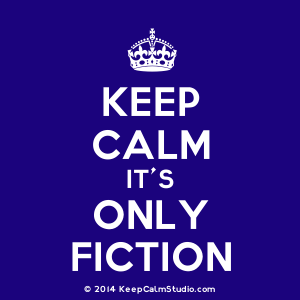 You don't have to have already read Chandler to enjoy the twisty plot, the characters (especially Marlowe), and the late 50s feel, but it would be helpful. Definitely a book I'd recommend to Chandler fans, to fans of older crime fiction, and especially to readers of Benjamin Black's work. I'm in awe of how good this author is every time I finish one of his books. The back-cover blurb by Stephen King really pissed me off because it totally gave me the direction that the book was going before I even opened it. I seriously don't know how he could do that or how the PsTB at Henry Holt could have let this happen -- by the time the big reveal came along, I already knew how things were going to play out -- I mean some of us have already read all of the Chandler novels. That's just wrong.